By Haynes & Cann. Stores reference 22c/1229226. Size 8M. 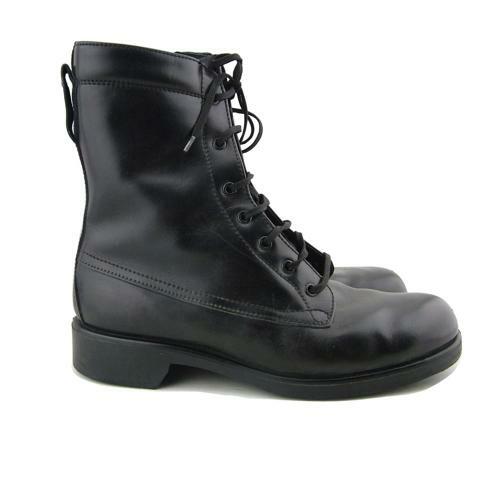 Classic aircrew boot in black leather with leather lining, seven eyelet lacing, padded top and one-piece rubber sole/heel. With war department broad arrow and reference number markings etc. Excellent unworn condition. Stock code B23082.